2013 has just begun and there is still time for wrestlers to make a huge impact in the WWE. Some of my picks are guys that have achieved huge success in previous years, and two of them have been over looked in my opinion for far too long. I would love to see these Wrestlers have a breakout year; Dolph Ziggler, The Miz, and Cody Rhodes. The Miz was the WWE Champion, he head-lined WrestleMania 27 and frankly he was the man in 2009. The Miz has fallen far from grace. But things are looking up; he acted in The Marines 3 and won the Intercontinental Championship title. He is currently in a feud with Wade Barrett that led him to another Intercontinental Championship reign, at WrestleMania 29. The sad part is that his reign was cut short; he lost the title the next night on Raw. He is also being mentored by the one, the only, The Nature Boy Ric Flair. I can see him making the “Ric Flair angle” work, but I don’t care for how the WWE turned him “Babyface”. If you can recall, it was all because Paul Heyman didn’t want him on his team at Survivor Series, in 2012. That was it? It could have been something that will make the crowed invests in his new babyface character. I can honestly say The Miz is someone that can lead the WWE to the new heights. The Miz is your man, 2013. Cody Rhodes is the most underrated WWE superstar. His in-ring performance is phenomenal. He was one-half of the WWE Tag Team Champion, alongside Ted DiBiase Jr. He also held Intercontinental Championship title, plus he brought back the classic white version of this Championship, that’s just too sweet. In my opinion, the only thing holding him is the lack of mic skills. Rhodes has shown improvement over the past two years, but he just can’t get the fans to invest in his character. He is now working on his new mustache angle, which I find entertaining. But, I am sure he can break away from this comedic gimmick and become the evil villain, I know he was born to be. 2013 could be the year for Rhodes; it would be great if he can win another single Championship. Dolph Ziggler is truly the hardest working man in the WWE. 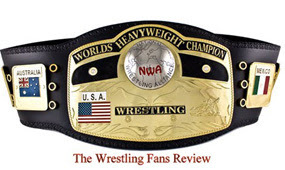 The Wrestling Fans Review has always looked a Ziggler as a top guy in the company. We are just waiting on the WWE to realize how great Ziggler’s wrestling skills are. He has held the World Championship Title for one episode of SmackDown, and it’s about time the powers that be, gave “The Show Off” an opportunity to show off his skill at the main event level. He had a feud with John Cena last year and it was great, Ziggler made Cena look like a million dollars in the ring. He also held the US Championship for 182 days. Now he is the Money in the Bank winner. Ziggler promised to cash in his contract at WrestleMania 29, but he had a Tag Team Championship match. The next night on Raw Ziggler cashed in his MITB contract, and defeated Alberto Del Rio, to become a two time World Champion. He needs to ditch Big E Langston & AJ, in order to be taken serious. I hope Dolph Ziggler, reaches for the “Brass Ring” in 2013.